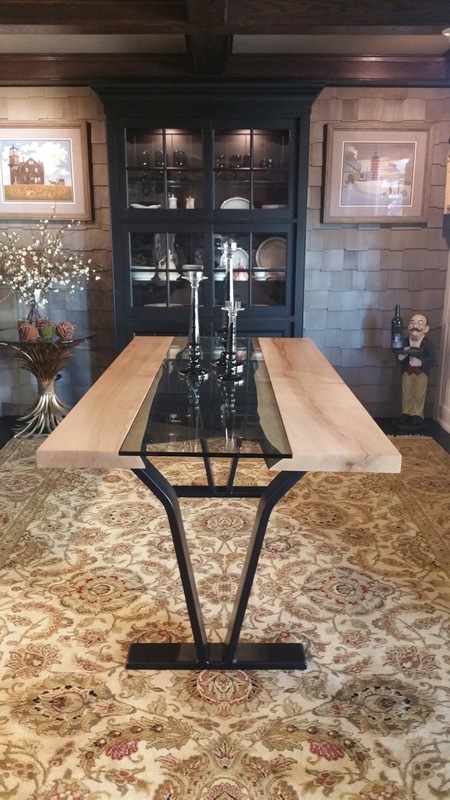 A modern contemporary table that includes the timeless beauty of a live edge slab. The colors inherent in the maple hardwood and the design of the SENTIENT Colorado table suggest the southwest United States. 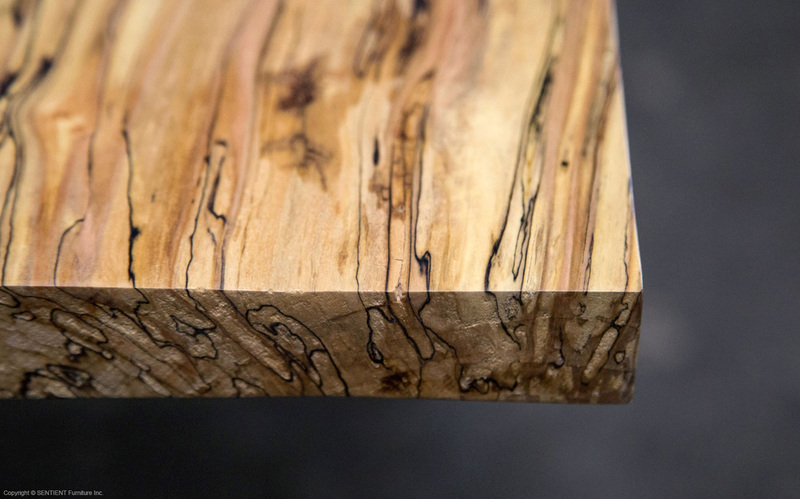 The glass-filled gap between the inverted edges of the spalted maple slab evoke a great river and the darkened V-legs echo a canyon: the butterfly-shaped leg connectors that tye the two slabs together are reminiscent of traditional joinery methods, yet the overall clean lines of the table are a strong minimalist statement. 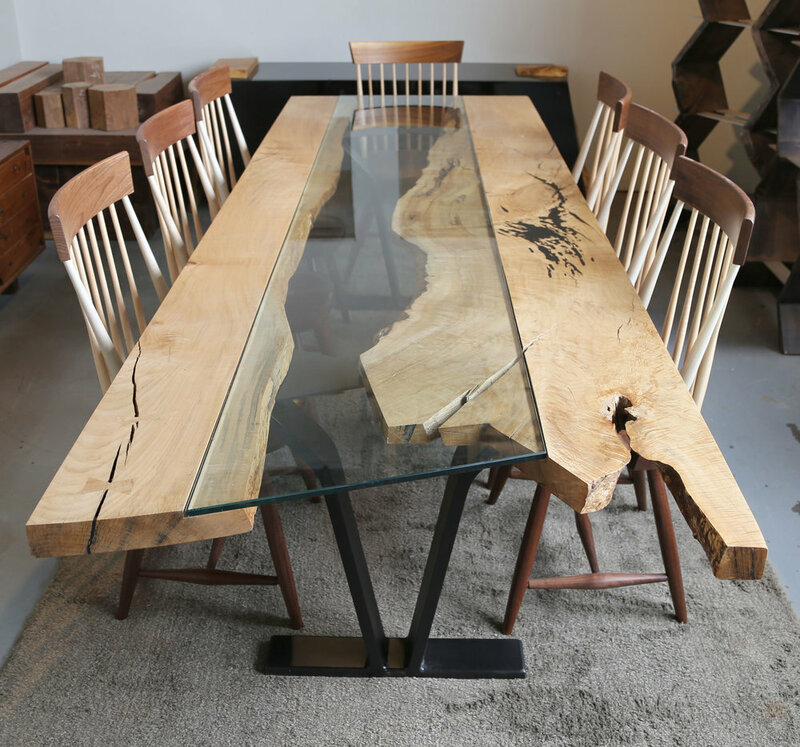 The Colorado Table is available in just about any size and other wood species. Contact us to discuss options. Introducing a new take on the Colorado Table, now available as a round pedestal table. 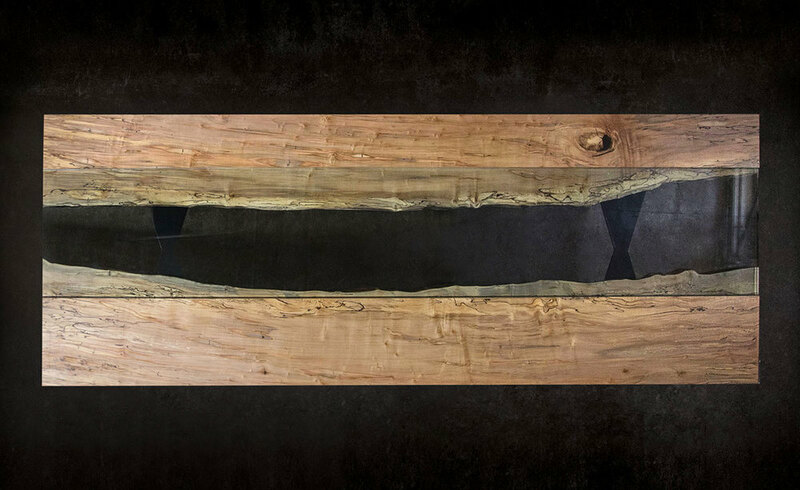 We've been asked many times over the years for an interesting live edge pedestal table option, and this is our response. 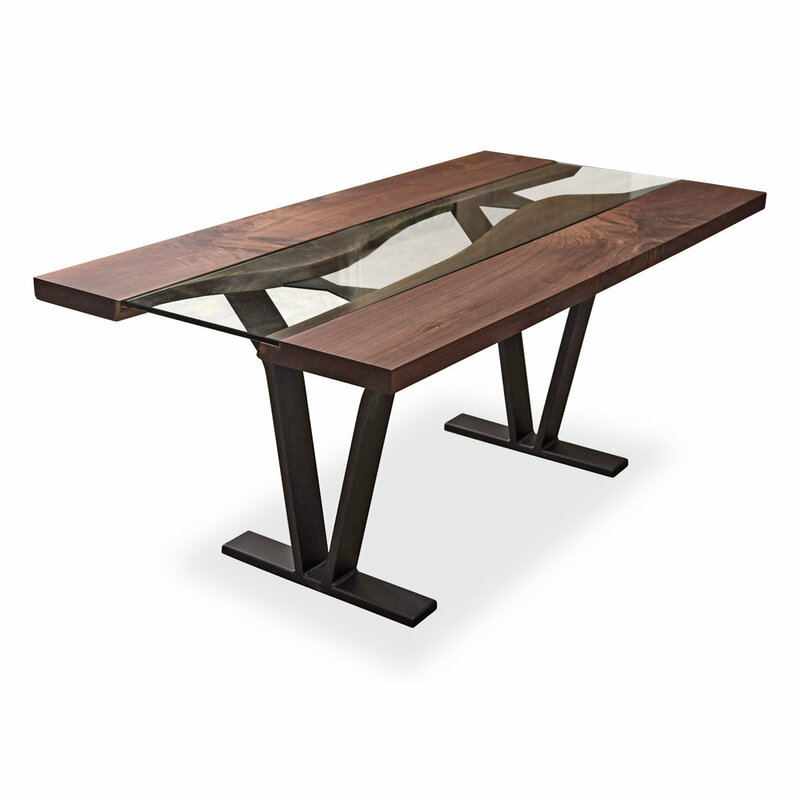 Shown in American Black Walnut with a blackened steel V-leg pedestal base.